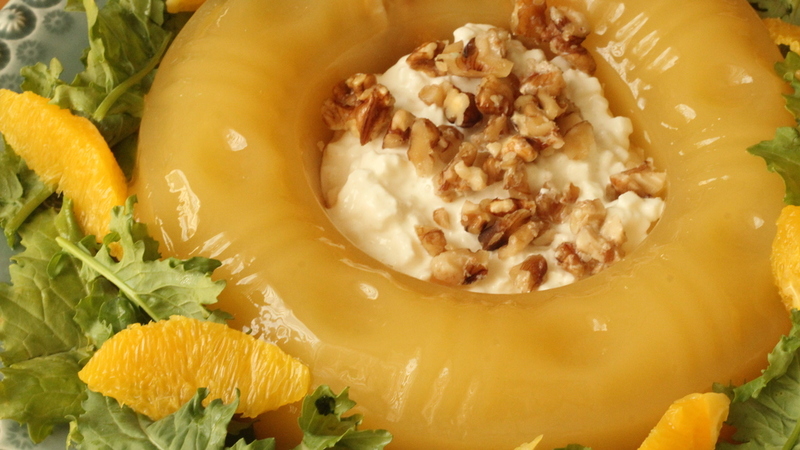 Let me introduce to you to the Orange Ginger Ale Ring from my Good Housekeeping Cookbook (one of my favorites). I’m so proud of this little guy! It turned out nicer than I expected (especially with my track record on removing things from molds). “Sprinkle gelatine over lemon juice in glass measuring cup to soften stir over hot water until dissolved. Stir in sugar, salt, orange juice, ginger ale. Refrigerate, stirring often, till consistency of unbeaten egg white. Fold in orange sections, nuts. Pour into 1 1/4-qt. ring mold. Refrigerate till firm. Like I said in my video (if you haven’t seen it go on over to my Youtube channel!) this is a good recipe! 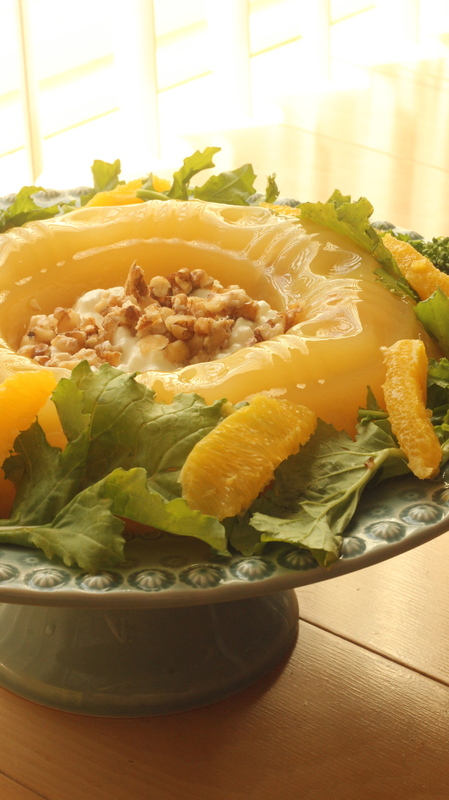 I may have added a tad to much lemon juice which made it a bit sour tasting, but other than that this recipe includes many things you would imagine taste good in a jello & does! 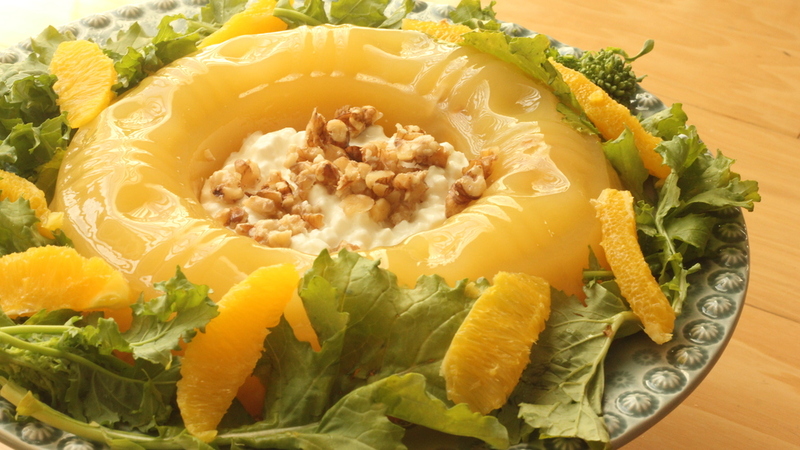 Have any questions or comments about the recipe! Let me know!